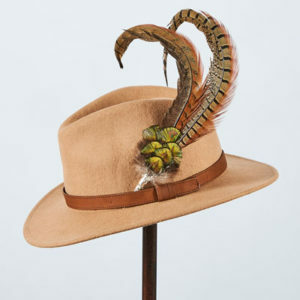 Shown with feather pin not included in price. 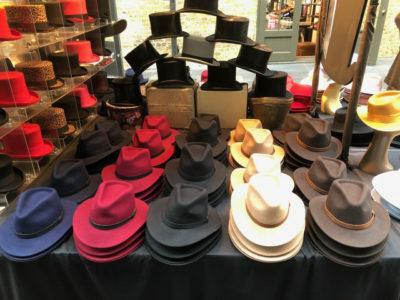 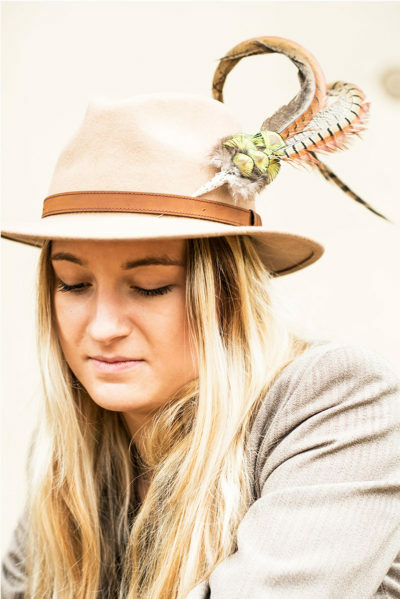 Quality felt fedora available in a choice of colours, green, navy, burgundy, black, camel, incorporating a wide feather hat band made from a choice/mix of pheasant, guinea fowl, partridge feathers. 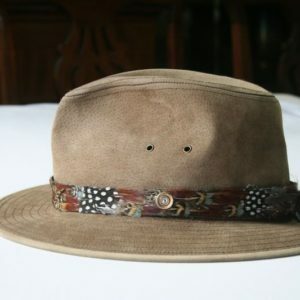 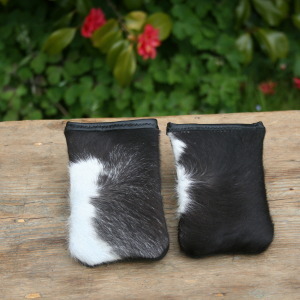 These hats are unisex, shower proof and great for a day out in the country.